Hargeisa- A spokesperson of Puntland said they should be allowed to attend the talks between Somaliland and Somalia because "it affects its territory," he said. Somaliland and Somalia started talks after 2012 Somalia Conference held in London. The talks were halted after President Muse Behi became the president of Somaliland. Recently, the president said he accepted to resume talks after the Prime Minister of Ethiopia, Abiy Ahmed, asked so. Previously the negations were between the Federal Government of Somalia and Somaliland government. 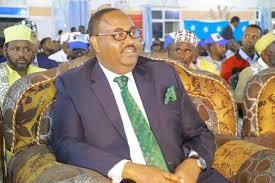 It is very likely that Somaliland will not accept the inclusion of Puntland in the talks.